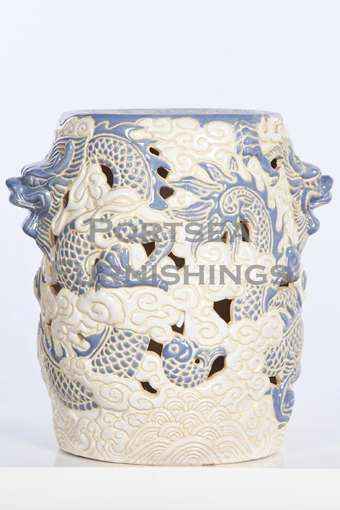 This round ceramic stool is hand painted and made from quality clay, they designed for outdoor use as well as indoor. 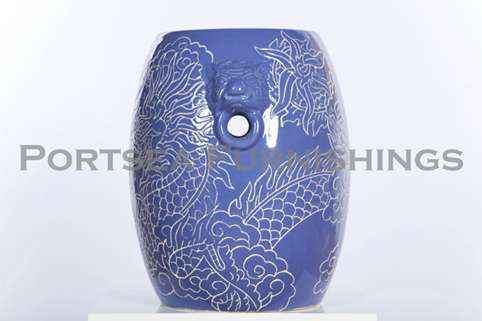 Use these ceramics as a stool, a table, to put a pot plant on or a garden ornament . 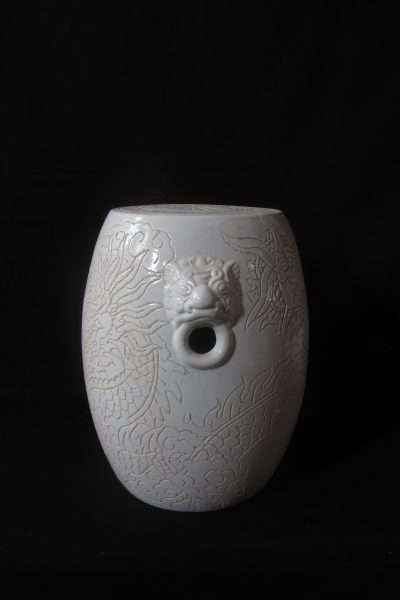 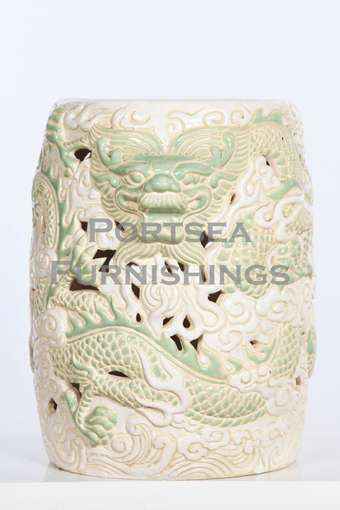 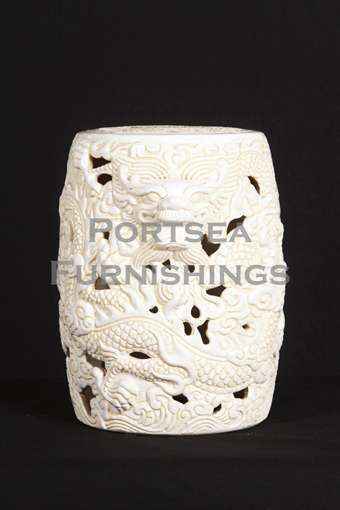 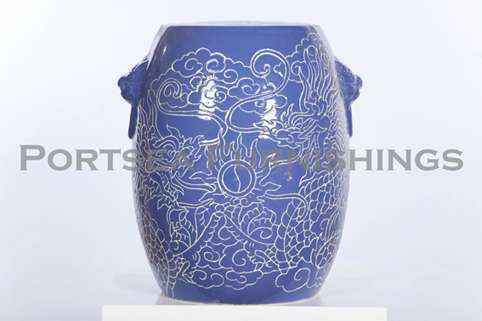 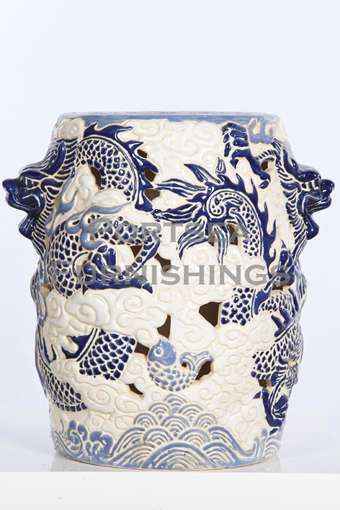 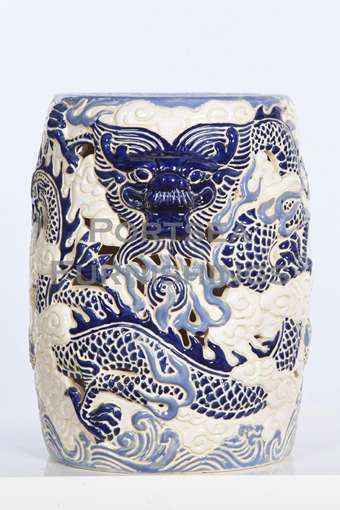 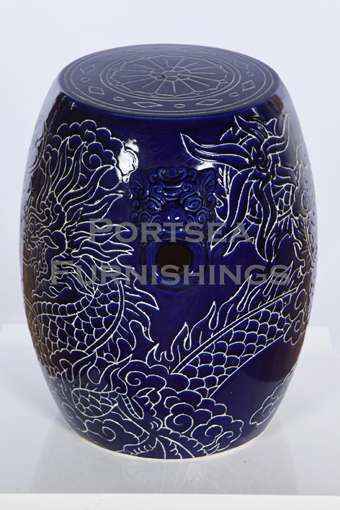 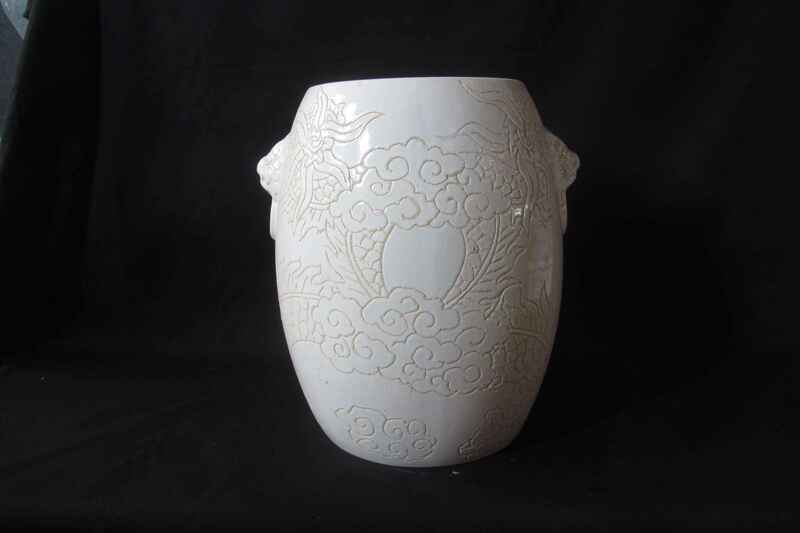 Portsea Furnishings can supply this ceramic stool in two designs, etched and dragon. 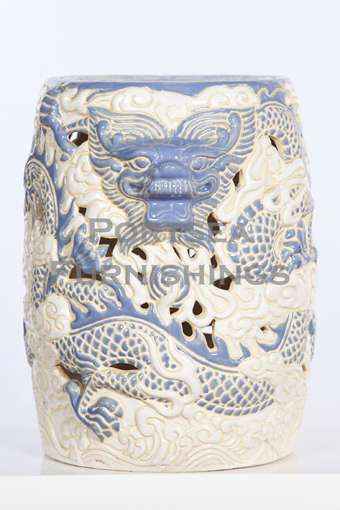 Available in white, blue, light blue and green. 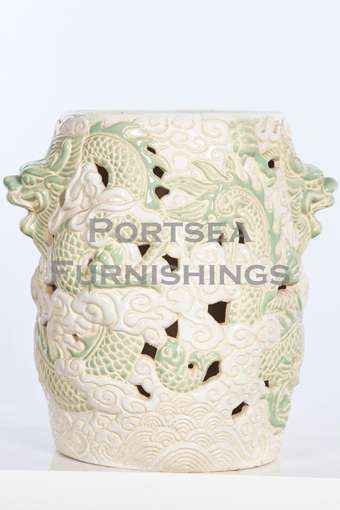 PRICE $ 99.00 DIMENSIONS: 35 (40) x 45 cm H * measurements in brackets refer to diameter of stool at it’s widest point.